Public health alerts on air quality, outbreaks of disease carried by water-borne vectors, and assessments of access to health facilities are informed by Earth observations and help to achieve SDG Goal 3 on Good Health and Wellbeing. GEO will advocate the value of Earth observations, engage communities and deliver data and information in support of Public Health Surveillance by yielding insight into the threat of vector-borne and environmentally-linked diseases, taking into account impacts of climate change; in order to promote a substantial reduction in the number of fatalities and illnesses from infectious diseases, environmental pollution and health risks, through raising public awareness and supporting policy making and management with accurate monitoring and early warning at local, national, regional and global levels. Changes in the natural environment can compromise human health. Droughts may lead to malnutrition and life-threatening forest fires. Dust storms and smog often cause respiratory illnesses. Algal blooms contaminate seafood. Climate change and extreme weather events are associated with a wide range of health risks. Emerging infectious diseases such as HIV/AIDS and Lyme appear to be linked to land-use changes that have opened up previously hidden pathways for disease transmission. The Group on Earth Observations is working with the Health community to improve the flow of user-friendly environmental data. Comprehensive data sets support prevention, early warning, research, health-care planning and delivery, and timely public alerts. 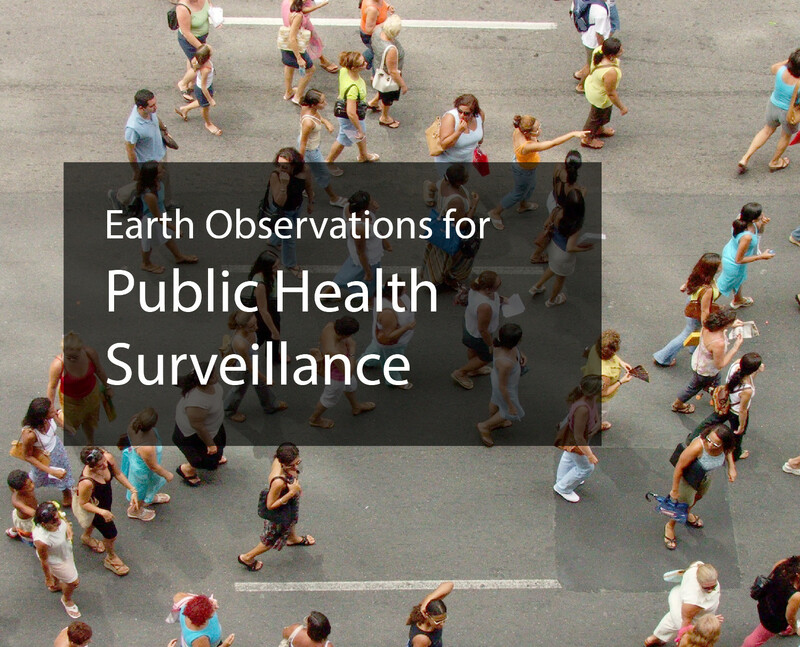 Gathered and distributed through the Global Earth Observation System of Systems, these Earth observation data contribute to improving our understanding of how the environment affects human health and well-being. Key variables include airborne, marine, and water pollutants; stratospheric ozone depletion; land-use change; persistent organic pollutants; food security and nutrition; noise levels; weather-related stresses and disease vectors; and many others. For example, remote-sensing observations of weather, land and ocean parameters can now be used to predict outbreaks or trends in infectious diseases such as meningitis, malaria and cholera. Such data need to be readily available to public health workers in a format that they can use. The GEO Secretariat Experts responsible for Health are Doug Cripe.